Can I use the iDEAL payment to have my customers sign an eMandate? An iDEAL payment is executed via a SEPA Credit Transfer. One of it characteristics of this payment instrument is that every payment must be authorized by the consumer individually. It is not possible to perform multiple, repeated payments with one iDEAL transaction. Alternatively, you can use the European Direct Debit for repeated payments. In accordance with the European regulations only a written authorization or an eMandate (such as Incassomachtigen, see in Dutch https://www.incassomachtigen.nl/incassant/incassomachtigen/) are legitimate mandates to do Direct Debits. Once you have obtained a mandate, the Direct Debits are initiated by you, as the payee without prior activity of the payer. To protect the payer, the payment is not guaranteed. He or she has the right, by law, to reverse the payment within 8 weeks. iDEAL is based on internet banking and uses the same security measures. This means iDEAL is just as secure as internet banking. What is a (Collecting) Payment Service Provider ((C)PSP)? A Collecting PSP (CPSP). They facilitate the technical integration between your system and theirs and they collect the iDEAL payments for you. Therefore, you need an iDEAL-agreement (contract) with the CPSP. Where can I ask my questions about a specific iDEAL payment? of specific payments. On many of these portals, it is also possible to send questions to a specialized helpdesk. Check with your iDEAL Partner where and how you can address your questions. Can my customers already pay with iDEAL QR? Absolutely. At this time, iDEAL QR codes can be scanned with the secure, free of charge iDEAL app and the mobile banking apps of Knab and Rabobank. In the coming period, more banks will be making their mobile banking apps suitable for scanning iDEAL QR codes as well. How can I offer iDEAL QR to my customers as a payment method? If you would like to start using and offering iDEAL QR, you can contract one of the iDEAL Partners who offer iDEAL QR. They can provide you with more information about the possibilities and activities needed to offer iDEAL to your clients. How does iDEAL QR work? After scanning an iDEAL QR code, which can be recognised by the iDEAL logo, all information about the transaction (amount, beneficiary and description) will appear in the app. The consumer subsequently checks and confirms this information. To complete the transaction, the payer approves the iDEAL payment in the mobile banking app in the usual way, by using the mobile PIN code. If a consumer has not installed an active mobile banking app, the payment can also be completed through the bank’s mobile web pages. After the payment, the consumer will be automatically routed to the merchant’s mobile environment. At this time, iDEAL QR codes can be scanned with the secure, free iDEAL app, which consumers can easily install on their smartphone, and the mobile banking apps of Knab and Rabobank. In the coming period, more banks will be making their mobile banking apps suitable for scanning the iDEAL QR code as well. Is iDEAL QR safe and secure? Yes, because the entire ecosystem that is used for iDEAL QR is controlled by iDEAL Partners. For this reason, iDEAL QR codes can only be issued by audited parties and systems, and scanned only by certified apps. This makes iDEAL QR just as secure as iDEAL itself. The iDEAL Partner determines the cost of iDEAL QR and the iDEAL payment. Contact your iDEAL Partner to learn more about the costs. It is a functionality of iDEAL that makes it possible to initiate a mobile iDEAL payment from a screen, printed matter or wherever else you can find an iDEAL QR code. iDEAL QR can be used as a payment method in physical situations, including making doorstep donations, paying invoices, paying for films on TV (video on demand), paying bills at restaurants or cafés or transferring iDEAL transactions from a PC or laptop to a mobile phone. What is the advantage of iDEAL QR? Transferring the payment from a PC or laptop to a mobile device. The payment that is made is a ‘regular’ iDEAL payment, with iDEAL QR being just as fast, secure and convenient as iDEAL mobile. Paying with iDEAL can be done anytime and anywhere. Consumers only need a smartphone or tablet. Moreover, the conversion of these payments is higher than with ‘normal’ iDEAL payments using internet or mobile banking. In addition, with iDEAL QR, organisations also get a payment guarantee if the transaction is completed successfully. Why is QR the chosen technology? The QR code is familiar to most consumers and it can be used by anyone who has a smartphone or tablet with a camera. The code is easy to produce and to display everywhere. Until recently, QR codes did not have a positive image. Scanning them often did not result in a positive user experience for the consumer. Recently this has changed and QR codes are used in several financial use cases of banks and payment service providers. For the iDEAL QR code, the payment information is displayed directly after the code has been scanned, after which the consumer can approve and complete the payment. Do you have iDEAL promotional material available? Yes, we have several banners and logos available for you to use.You can download these on this web page. How can I offer iDEAL as a payment method to my customers? iDEAL is a standardised payment method offered by a large number of acquirers and CPSPs. They are an iDEAL Partner . If you would like to offer iDEAL to your customers, you will need to close an iDEAL merchant contract with one of these Partners. They will also provide you with technical support for integration of iDEAL within your online checkout system. Every acquirer or CPSP applies its own acceptance policy towards its merchants. The minimum requirements for iDEAL are that you are registered with the Chamber of Commerce (or a similar foreign institute) and that you are in possession of a business bank account. For more information about iDEAL, please check the business section of our website. For your information: Currence has an English animation available that gives you a brief (about 1.5 minutes) explanation of the process of an iDEAL payment and what subsequently happens ‘behind the scenes’. You can also visit the business section on our website. I experience difficulties with implementing iDEAL. What should I do? You have an iDEAL contract with one of the iDEAL Partners. This partner can also provide you with support for the technical implementation of iDEAL. Therefore, you should contact your bank or CPSP. You can also consult our implementation guidelines for iDEAL. What are the legal requirements to accept iDEAL? If you want to accept and/or implement iDEAL on your website for Dutch customers, you need to have an iDEAL contract with one of the iDEAL Partners. Identity details of the legal representative(s): nationality, gender, identification number (driver’s license or passport), date and place of issuing of identification. Name of the business account. A recent overview of business banking data (in conformity with Ad 2). To offer iDEAL to your clients as a payment method, you need a contract with an iDEAL Partner (Acquirer or CPSP). The fees for iDEAL differ per iDEAL contracting Partner. Most often a fixed fee per transaction is applicable. At some parties you also pay a monthly subscription. On the websites of these Partners you can see which iDEAL partner is most suited to your situation. 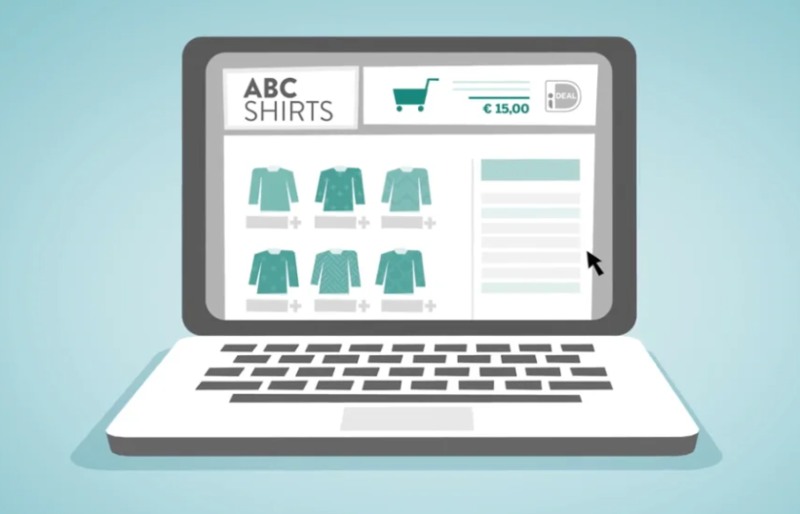 Further legal obligations for webshops can be found on the website of the Dutch Authority for Consumers and Markets (ACM). This page is only available in Dutch. It is possible to send an iDEAL payment request to your customers using an iDEAL payment link, for example by email, text message or WhatsApp. Please consult this web page for more information. Can I display a notification on my website if iDEAL is unavailable? You can indeed display a notification on your website. You can receive this information via a secure website. The information is pushed into XML messages to the environment you specify. You can already take this into account while building your payment page. If a specific Acquirer (payment service provider of a merchant ) or Issuer (consumer bank) is not available, you can mention this on your payment page. To receive this availability information you can register here. If you have an idea or suggestion regarding iDEAL?